A sensual blend of charcoal and gold, the Brittany earrings are an exquisite addition to your silky twilight number. 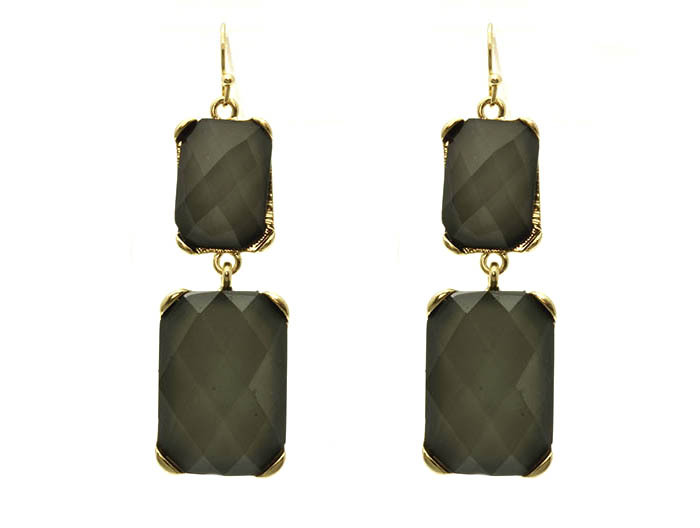 A double-drop design in charcoal grey rectangular stones on cast gold french hooks. A minimalist’s approach to evening luxe.